Discussions are understood to be underway between France and Portugal about the possibility of a joint bid to host the next Women’s Rugby World Cup in 2021. With the deadline for bids looming on August 10th, the two countries have already expressed an interest individually in hosting the tournament alongside England, Wales, New Zealand and Australia. Given Portugal were something of a surprise inclusion in the earlier stages, a joint bid makes sense and would bring the added benefit to World Rugby of helping to bring the game to a relatively new audience. With France having hosted in 2014, it was also a surprise they bid again and they appeared, although having been excellent hosts, to be up against it with attractive bids expected from Australia, New Zealand and England. 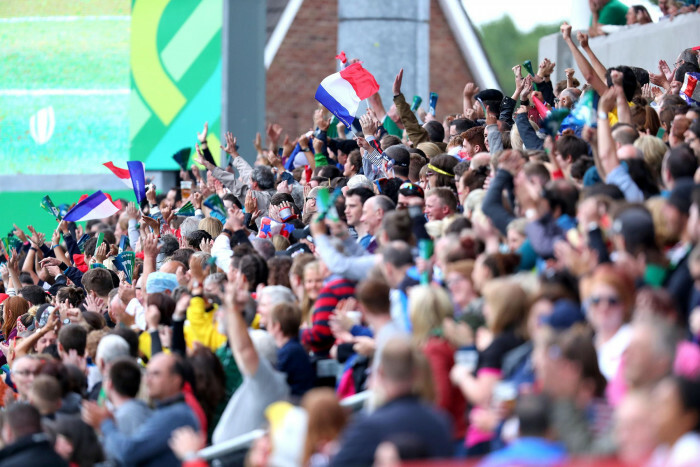 But a novel joint bid could well prove of serious interest to World Rugby - particularly as European tournaments with favourable time zones for broadcasters could possibly help commercialise the tournament further. Scrumqueens understands that there have been numerous meetings between both the French and Portuguese unions about submitting the bid together in August while the French union have also talked to World Rugby to sound out their openness to a joint application. Portugal and France have very strong historical ties and in the last two seasons the Portuguese champions Sporting Clube de Portugal have faced several French clubs and have been strong supporters of the idea of a European club competition. While a final decision has yet to be taken, a joint bid would likely focus on the attractiveness of combining both the advantages of large French crowds and broadcast interest alongside exposing the women’s game to a new audience in Portugal. It is likely that the bids for this World Cup will be the strongest yet. Australia’s bid was recently boosted by the news that the New South Wales state government has thrown its support behind the women’s bid and others and planned major investments in upgrading stadiums to support it. In New Zealand meanwhile the government have expressed their support to help fund the tournament with Sports Minister Grant Robertson telling media that winning the rights was a priority. Neither France nor Portugal responded to a request for comment on this story.